We all want to be the top choice in everything in life, right? We want to be the smartest, prettiest, funniest, and the first pick for the best jobs. That’s no different when it comes to our company’s ratings in search engines. No one wants to be at the bottom of page twelve on Google search, but inevitably, someone will be. So now we wonder how to get to the top, and while of course that comes with a variety of factors involved, one of them is having good keywords in your title and on your webpage. Having a highly searched keyword helps to boost your search result closer to the top, and get more people clicking on your webpage. For example, if you were to type just the word “dog” into the Google search bar, you would get flooded with over 1.9 billion responses. Users know this will happen, so they’ve learned to make their searches more precise – “what does a newborn chocolate lab eat?” or “full grown Great Dane” are examples of how searches are narrowed down. But even with these added keywords, you are pulling millions of search responses — that’s a lot of competition. We all know that the first few choices are likely the ones that will be clicked open to view. Having popular keywords in your titles is one way to help get your site pushed toward the top, and make it optimal for viewing. Did you know that, in many cases, keywords come with an expensive price tag? Major companies actually bid against each other to gain access to optimal keywords. How does this work? When you put a search into Google, Google has to search through its ads to find relevant information for you. This is how Google decides which information will be shown, and in which order. Google searches through those that have relevant information and excludes those that either do not pertain to your search or have exclusions. These exclusions can include parameters such as if the ad site is targeting another country, and therefore would be irrelevant to you. Once Google selects the relevant sites, there is more than one business using the same keywords. For example if you search “women’s blouse”, there will be more than one company out there selling or featuring this item on their page. The advertisers who are using the same keyword are all instantly drawn into a bidding pool, where they can bid for their page to be shown. This bid number is multiplied by what is called a quality score. The quality score is a ranking from 1-10 for each page with how relevant the information is to the person searching. This final number helps to determine where a site will fall in the search. While this bidding is great for large companies with money to spend, this is not always feasible for small businesses, but that doesn’t mean you’re out of luck completely. With the internet more available and constantly being used today, it’s important that your information is ranking high and getting your name out there. That’s hard to do with every other website out there racing to do the same thing, especially when you cannot predict what words will be searched most frequently, and which words will becomes the new trending keywords. So how do you get the best keywords to help boost your page from the bottom of the search barrel? We can thank Google for creating the Google Keyword Planner. 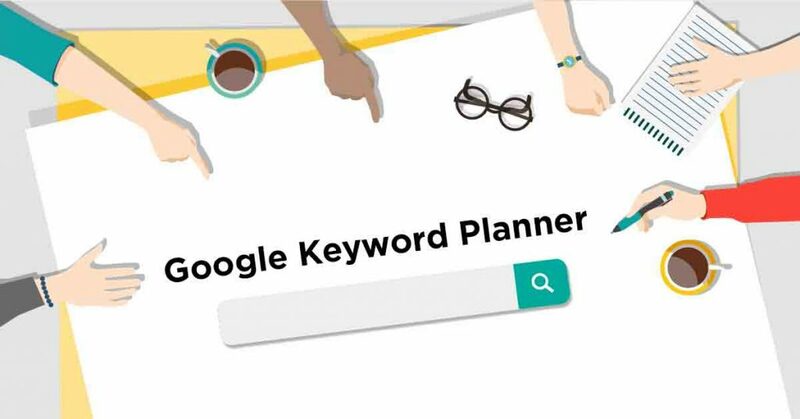 The Google Keyword Planner was designed to help you wade through all of the guessing and use tools that can more accurately predict which keywords are going to be valuable and highly used. While trying to simply guess at keywords by yourself is an option, it is not one I would suggest to you. What you may think is a hot keyword or something that would be regularly searched is not always what people are actually seeking out. Google has therefore put together tools and systems to help you better select the optimal keywords for your specific needs. To begin with the Keyword Planner, you need to sign into your Google Adwords account. Next, click on the tools icon to open your options. Under this, you will find “Planning”, and within this there is an option for Keyword Planning. You will be brought to the keyword planning page, where you can begin your search. Now you can type words, phrases or even the entire URLs for your business’ webpage within the search bar. This will begin your search and Google will do the work to help you find the best keywords for your company. After you’ve completed your search, you can also view future forecasts for the keywords in your plan. You can also edit and delete keywords. You can adjust and change the keywords in your plans as much as you need until it is optimal for your business. When you are finished tweaking your keyword plan, don’t forget to click “Save to Account” to ensure your new campaign is created. From here, simply choose a daily budget and a creative name for your campaign and your advertisement is ready to run. The Google Keyword Planner is going to be your business’ life saver tool, and if you have a Google Ads account, it is free to set up. The keyword planner will help you to search through the possible keywords for your product or webpage and see how they will most likely perform in the current market. This takes most of the guesswork out of creating a successful ad campaign. Keyword Planner will help you decide what budget is going to best suit your business and your needs, and it will also help you choose which keywords to bid on and which you do not actually need to waste time and money on. Keyword Planner will keep you updated on the current bidding situation for your chosen keywords. This will keep you informed on how you are doing in the market and the popularity of the keywords. You can customize these forecasts to show you data during certain times of the year. You can customize it to show you data based on factors that are most important to you, like cost, match type or clicks. All of this information will help you to organize your search and get you the best keywords for the current market. You can begin by thinking of what keywords you think will be beneficial for your company and test them out to see how they are projected to run. If they do not fare well, or if you just want a few more options, Google will present you with more options as well as with how those options will perform in the search engine. It is even possible that you will think of a good keyword but find that is is not projected to do well in the search engine. Google will present you with options you may have never thought of that real people are searching. If you have no idea where to start with keywords, or if you want to find more keywords, the Planner is the tool you need to help you get going. You can simply plug in your URL, your product name or phrase, and Google will do the heavy lifting coming up with keywords appropriate for you. Although Google does a lot of the hard work in finding the perfect keywords for you, they do add a small disclaimer to remind you that keywords alone do not determine search engine ranking. It is one important piece of a much bigger puzzle. The other pieces come together in the Google Ads department, where there are tools for all of aspects of advertising. All of your keyword planning needs at Google will fall under the Google Ads department. So what is Google Ads? Google Ads is the newly rebranded name that Google has given to its upgraded Google AdWords account. You are probably familiar with Google AdWords, as it has been around for quite some time, and was Google’s main way to help you with your advertising needs. But after 18 years, Google rolled out the rebranding effectively on July 24 of this year with promises of new features still to come. While most of Google Ads has stayed the same as the old AdWords, some of the changes involved include making it easier to navigate the entire advertising section of Google. As the internet has expanded, so has Google and its capabilities. Google works to bring you quality services and tools to make your life easier. This is especially true for those of you with small businesses. Getting your business up and running is a large undertaking in itself, and Google knows that. So they have established “smart campaigns” specifically for you. But Google is not simply focused on small businesses, and has something even for the largest of brand names out there. Google has also created the Google Marketing Platform, which combines Google Analytics 360 Suite and DoubleClick, so that you can use the products in one easy-to-find place. Now you have much more control over your marketing campaigns. All of these options are at your disposal and available today. If you need more suggestions on how to use the Google tools to your advantage, you can look through some of our optimization tips. Google Keywords falls under the category of tools offered by the Google Ads page, just as it was offered when it was Google AdWords. To access Google Keywords, you simply need to go to the new Google Ads page, click “tools” and select “keyword planner”, or you can simply click here. Creating a Google Ads Account has been made incredibly simple. First, go to the Google Ads page and click the green button in the top right corner that says “Start Now”. You need to already have in mind which email you will use for your advertising and marketing needs. You can always create a new email account for these purposes or just designate one you are already using. Since you will receive emails with your account updates, it is optimal to have a separate account for business needs. From there, you will be brought to a page where you can establish all of your personal account preferences. These include setting your time zone and what country you are located in, as well as setting what currency you prefer to see information in. This way, even if you are living outside of the US, for example, or if your customers are, you can still choose to view the information in US Dollars. The last thing you need to do is set up your billing information. You can choose to have automatic or manual billing payments set up. I would personally suggest using the automatic payments because when you select this option, it means your advertisements can begin running immediately. Your payments are made every thirty days or when you reach a payment threshold, whichever point you reach first. Manual payments take longer to process, which means your ads are put on hold until the payment itself is processed. You can sign up for either option with a credit card or a bank account. The bank account option, again, can take up to ten days to process and verify. After you’ve selected the options best suited for you, then you are good to go and can begin your advertising campaigns. Once you’ve set up your Google Ads account and your Keyword Planner, you’ll be ready to get your campaign going. 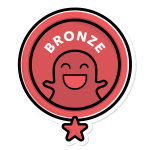 Feel free to explore all of the tools available to you and be on your way to better advertising and better business. If you have any remaining questions about the Google Keyword Planner or about Google Ads, feel free to contact us! You can also let our experts take care of your Google advertising needs.